Esmeralda Hudson was appointed City Secretary on December 16, 2014. Prior to becoming City Secretary, she served as Assistant City Secretary for 8 years. Her first day as City Secretary was March 1, 2015. 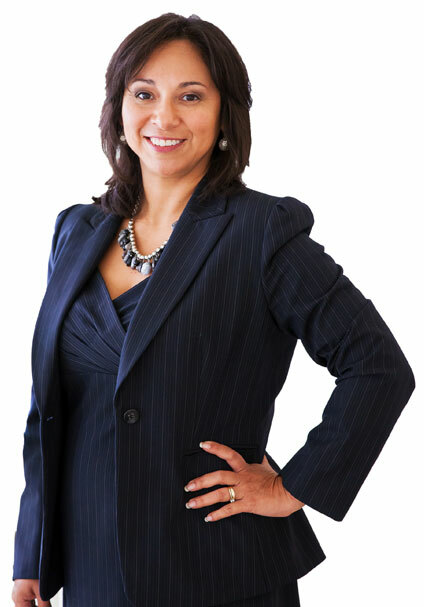 Esmeralda graduated from Baylor University in 1999 with a Bachelors of Business Administration in Management Information Systems and in January 2011 she earned her Texas Registered Municipal Clerks Certification. Esmeralda has been an active member of the Texas Municipal Clerks Association (TMCA) since 2007 and has served on the TMCA Executive Board’s Audit and Strategic Plan ad hoc Committees.She is a TMCA Election Law Seminar facilitator and a current member of the Central Texas Chapter of Municipal Clerks. Esmeralda is a graduate of the 2007 City of Waco Leadership Class and 2013 Greater Waco Chamber of Commerce Leadership Waco Class. Esmeralda currently serves on the Steering Committee of the Waco Foundation’s Today’s Action Tomorrow’s Leaders and is a trained facilitator for the LeadershipPlenty Institute, a nationally recognized program of Pew Partnership for Civic Change, Inc.
Esmeralda was raised in the Rio Grande Valley of Texas where she graduated from La Joya High School before moving to Waco. She and her Husband, Andrew, live in Waco and have two children, Isabella and Autumn. Her family attends Fellowship Bible Church of Waco where she has served as a Junior Youth Leader. The mission of the City Secretary’s Office is to provide knowledgeable, efficient and respectful service to the City Council, Staff and Community. The City Secretary is the steward for transparent open government and is responsible for efficiently, preserving and maintaining the official records of the City, coordinating regular meetings of the City Council and calling special meetings upon request of the Mayor, City Manager or three Council Members. The City Secretary prepares minutes of all meetings of the Council and files, publishes and codifies ordinances as required. The City Secretary conducts annual general city elections, coordinates boards and commission appointments, posts public meeting notices, issues various licenses and permits, coordinates request for public information, and serves as the records management officer for the City. The City Secretary provides administrative support to the Council and is the local filing authority for officials filing Texas Ethics Commissions forms and reports including appointing a campaign treasurer, personal financial statements, conflicts of interest statements, campaign finance reports, and affidavits of substantial interest.